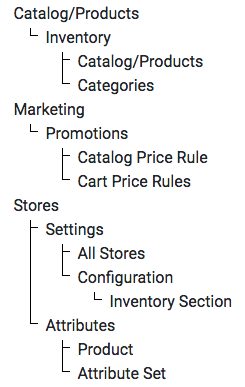 From your Magento 2 admin section, navigate to System > Extensions > Integrations . Enter Dynamic Creative in the Name field and use your current admin password to verify your identity in the Your Password field . You can leave the remaining fields empty (as pictured below). 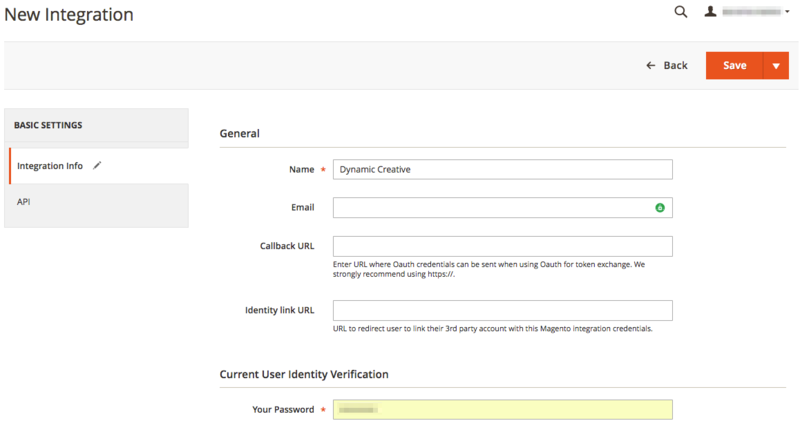 Finally, select Allow to generate your Integration Tokens for connecting Dynamic Creative Ad Builder to your Magento 2 website. 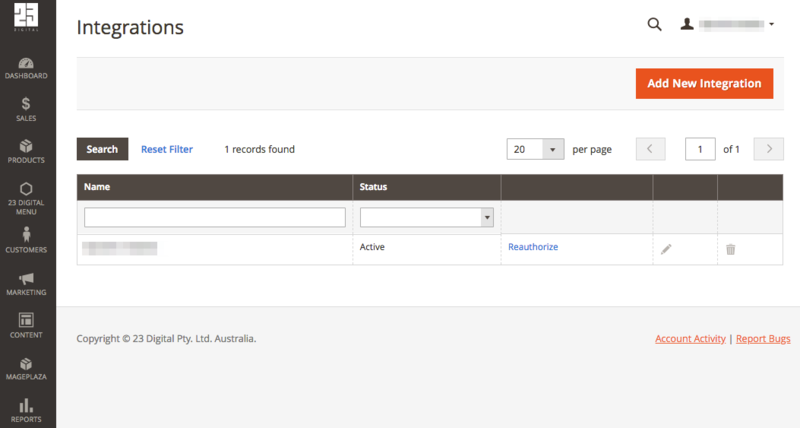 Reauthorising Tokens: If for any reason you wish to reauthorise the integration tokens you will need to update us with your new token credentials in order for Ad Builder to be able to successfully connect to your website.